• Specifically designed for use with linear drive autopilot systems. • Keeps Autopilot independent of Steering System. 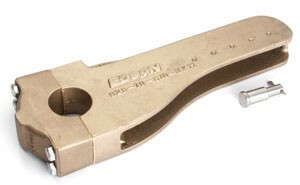 • 1” (25 mm) wide slot to accept ball end fitted with 1⁄2 ” or 12 mm diameter pins. • Accommodates rudderposts to 5” (127cm). • Custom pin sizes are available upon request. • Constructed of Manganese Bronze or Anodized Aluminum. • Variable attachment points to allow for proper positioning of the attachment point of the autopilot. 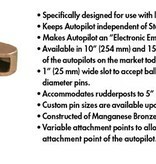 Since each Autopilot Tiller Arm is custom machined for a tight fit to your rudderpost, please fill in this form and email to us to order. 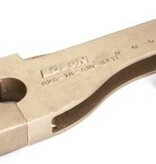 Some configurations may incur extra machining charges. Item is not returnable.